If for any reason you are not completely satisfied with any of our "consumer-packaged" products, please provide us with your purchase information, and we will, without question, give you a full and unconditional refund (excluding applicable shipping fees). There is no need to return the product. You may make use of it as you desire. We reserve the right to limit future sales to anyone who takes unfair advantage of this generous privilege. "Plain Wrap" bulk packaged loose leaf teas, "100 Pack Tea Bags Without Box", "100 Pack Green Tea Powder Sticks/Packets" and wholesale orders are not included our Guaranteed Satisfaction Policy. Consistently cultivating quality tea leaves is but one part; the other is the fine art and science of creating finished green tea. Bringing out highly desirable flavor from raw tea leaves requires a delicate balance of creativity and skill. There are numerous ways of producing green tea, and the tea master must follow precise steps taken in a timely manner. 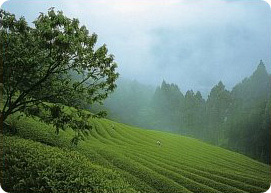 It is believed tea cultivation and production in Shizuoka began during the Kamakura Period (1185-1333). The result of centuries of accumulated blending and processing wisdom and mastery is evident in each new cup of Shizuoka green tea. ShizuokaTea.com sources the best available Japanese green tea from large, medium and small size processing/packaging companies, and also directly from tea farmers. Our major suppliers collectively have hundreds of years of experience, are highly skilled, operate very clean facilities and are ISO Certified, which is very important in a time when there is concern for food safety. We are in constant contact with the Japanese green tea industry from our year-around staffed buying office in Shizuoka, Japan in an effort to bring our valued customers superior quality products. Our year-around-staffed buying office located in Shizuoka, Japan, has direct access to the over 38,000 tea farmers, 3000 tea processors and 500 finished tea packagers located in Shizuoka Prefecture and throughout Japan. This allows us to respond quickly to changing market conditions and new products. As a result we are able to offer our customers in one store the most extensive product line of Japanese loose leaf green teas, green tea powders and tea bags that can be found in the world. 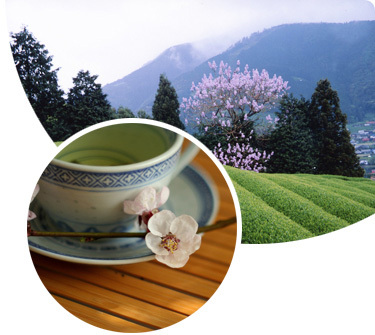 The low overhead business model of ShizuokaTea.com permits us to offer our products at very competitive prices. Our purchasing power allows us to buy at reduced prices and pass the savings directly to our valued customers. Comparison shopping will reveal that for comparable products our prices are lower, in some cases substantially lower, than our competitors. We have very rarely raised the prices of our products since January 2004. We offer our best selling products in larger bulk packages which are packed in either plain foil (loose leaf teas) or clear plastic (tea bags and green tea powder packets/sticks) at a savings of 25% off the already competitive consumer-packaged price. We highly recommend that you buy in bulk, save even more and enjoy your tea for less cost. Free shipping is effective for all orders shipped worldwide of $40 or more. Orders of less than $36 will be billed a flat rate of only $5 for shipping and handling, while those of $36 to $39 at only $2.